The Republicans say the elephant is strong and dignified, thus being used as their "team" mascot. This symbol is as familiar as the "red, white, and blue". Having been used since 1874, artist Thomas Nast generated the elephant in a political cartoon. That's all it took to become associated with the Republican party. 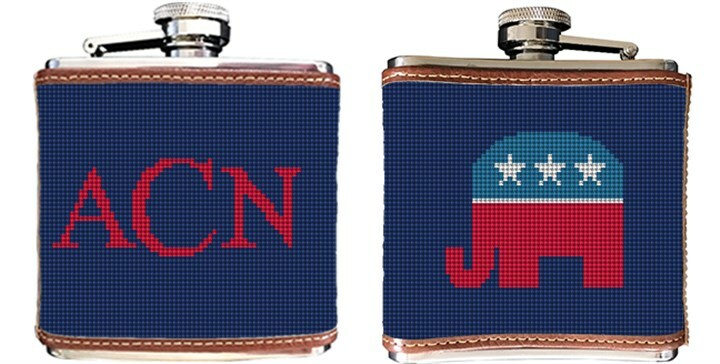 Enjoy showing your political preferences by stitching our needlepoint flask canvas. Please let us know what monogram you would like to use on your flask.